Aracari Travel Company announced the start of new family trips in the summer - 2013. Routes are designed specifically for young families with children aged 12 years and older. Routes include a wide range of services, entertainment, educational travel, the opportunity to meet and mingle with the local population and representatives of small communities in Peru. Entertainment for the kids include a trip to the Amazon rainforest, treasure hunting, fishing, weaving interactive lessons, visit to a chocolate. On the tour, also offered an excursion to Machu Picchu, the Sacred Valley of the Incas and the city of Cusco. These objects are considered to be the cradle of the Inca civilization. A hundred years ago, Machu Picchu and the Sacred Valley of the Incas declared UNESCO World Heritage Site. For older kids on tours provided more adventurous activities such as surfing, mountain biking, hiking, driving the buggy on the sand, visit the Paracas National Reserve. On its territory found about 100 different archaeological sites of ancient civilizations. In addition, here, on the Pacific coast is home to the largest colony of sea lions, as well as 200 species of birds, among them - and the rare pink flamingos. Before running the family routes, the company has examined Aracari Travel tourist market supply and demand in Peru. As it turned out, couples with children interested in the country back in 2010. It was the year in Peru, there is increasing demand for a family vacation. Experts attribute this fact to the fact that the state has evolved markedly tourist infrastructure, improved living conditions in the hotels. 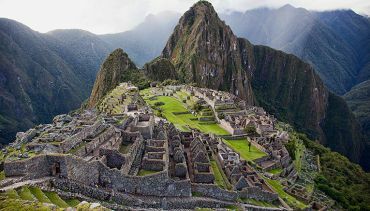 In addition, in recent years in Peru are increasingly a variety of activities and excursions for the youngest travelers. Especially popular with kids hiking through the tropical jungle of the Amazon. Before the voyage of the guys dealt special guides and handbooks. Among confident that through such campaigns young people can discover the full all the beauty, power and unpredictability of nature, to understand its significance for humans. In addition, recently gaining momentum in Peru active leisure, especially horse riding, quad biking, hot air ballooning, kayaking and day trips with overnight stay on the Pacific coast. "When we started this business, tourists in Peru was very little, especially families with children. And today, almost a third of our staff traveling with a family - said Marisol Mosquera, founder Aracari Travel. - These trips are exciting and incredibly interesting. For example, I traveled to Peru for many years with his son, who is now 11. Experience such trips showed that adults greatly exaggerated when one considers that for a child like travel dangerous. Our country offers so many things for teens ... And it is not only the joy of adventure, but also a wealth of culture, history and traditions. "